So I know I already posted some of Alex Pardee's artwork in another post, but i'm a sucker for unique movie posters. 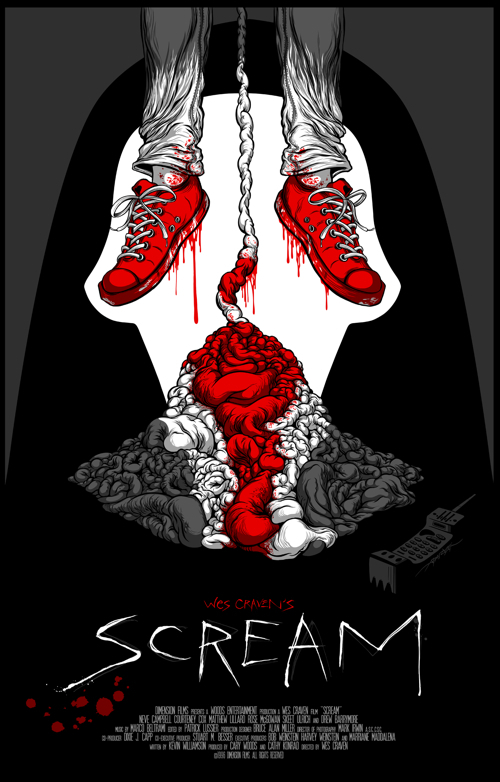 Over at Mondo they are featuring two new gruesomely awesome pieces from Pardee that are a must have for any horror buff. Head over there and get one before they're gone. As always, let me know what you guys think. Hahahahaha, I love that Scream poster. both cool, the second one is a bit gruesome to hang up for me, but the first one is awesome. classic horror movies own. Interesting... not quite my style but ok. 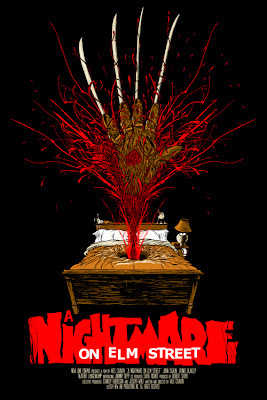 The Nightmare on Elm Street poster is awesome. I wouldn't want it up in my house, though. I don't like these. Too creepy. 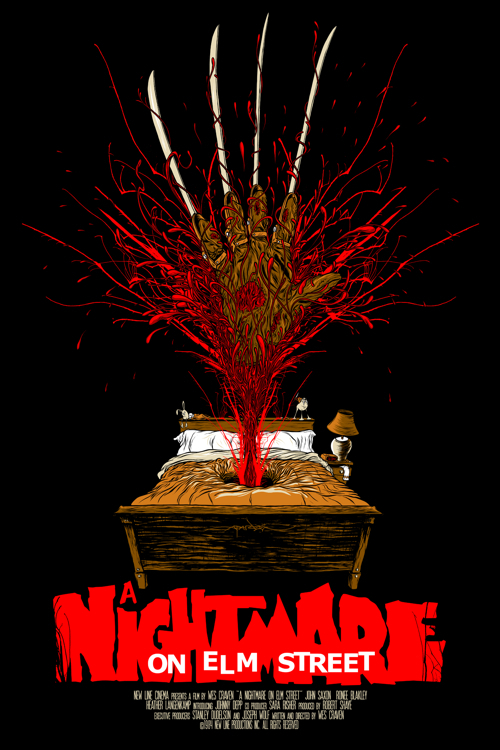 These are excellent posters, love the Nightmare one. Very interesting. I like the first one. Oh God, I love this posters! I really like that Elm Street one. Would look awesome above my bed in the dark. weird, old styled things are my favorite.